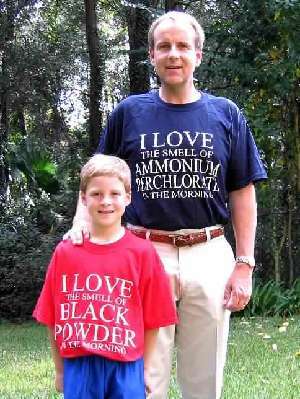 Ammonium Perchlorate shirt has "I LOVE THE SMELL OF AMMONIUM PERCHLORATE IN THE MORNING"* on the front, with "It smells like rocketry!" on the back. * of course, you shouldn't actively or intentionally inhale rocket exhaust!